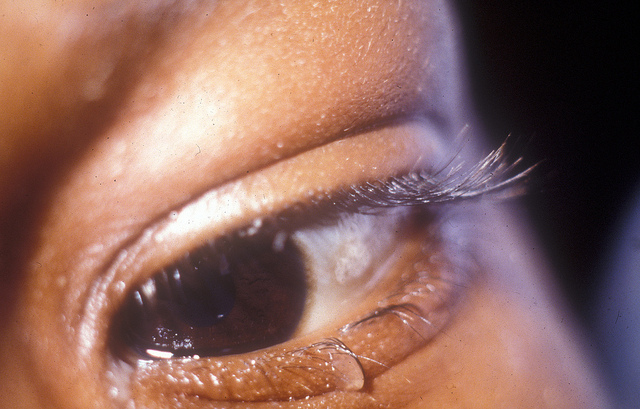 Dry Eye Syndrome can affect anyone. If you’re suffering with sore, watery and uncomfortable eyes then you could be experiencing dry eye syndrome. The condition becomes more common with increasing age, and as a general women are affected much more than men. Persistent dryness and scratchiness – Dry eyes can become red and irritated causing a burning sensation. Discomfort in your eyes when looking at bright lights. Are You Experiencing any of the Symptoms of Dry Eye? If you’re experiencing any of the Dry Eye Symptoms listed above, then we can help you. At Dry Eyes Treatment, based in Leicestershire in the East Midlands, we offer a 90 day dry eye treatment plan which includes a range of dry eye products, recommended by leading eye specialists, designed to work together with various lifestyle changes, to achieve a long term solution for the Symptoms of Dry Eyes. We can assure you that our treatment plan will leave your eyes feeling fresher and more comfortable. If you’re not satisfied we offer a 30 day money back guarantee with our treatment plan. Still unsure about the symptoms and want to know more about dry eye syndrome? Simply click here. If you’re suffering with Symptoms of Dry Eyes contact our experts at Dry Eyes Treatment in Leicester on 01509 414 151 or alternatively click here and we will get back to you regarding your Dry Eyes Treatment.